Your movie screen rental can be connected to Cable TV, Blu Ray or many other devices. The screen measures 155 inches diagonal. 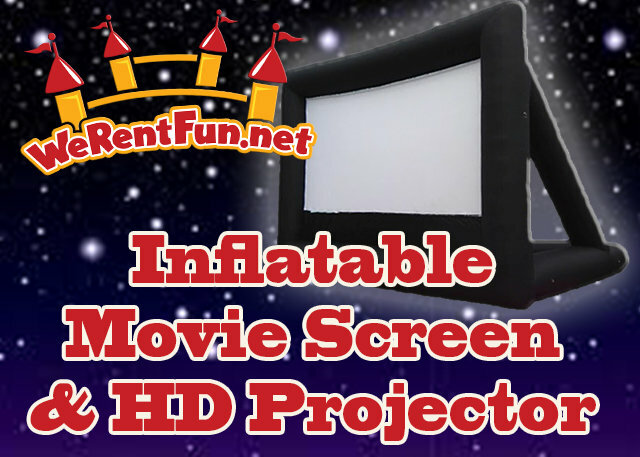 It's great for Church, Town, School and backyard events. Here are some important details: we do not provide any movies, that is up to you! The projector must be placed about 20 feet in front of the screen. There will need to be power and sound cables ran from the projector to the speakers. We rent this system with intended private party use. If you plan to do a public event, you must secure licensing for the movie you wish to show. 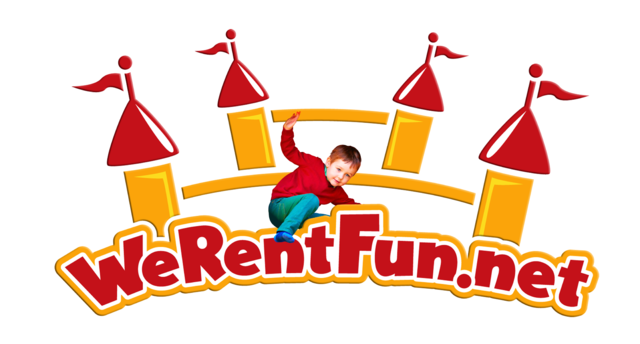 We Rent Fun has no responsibility for the content displayed with our equipment.